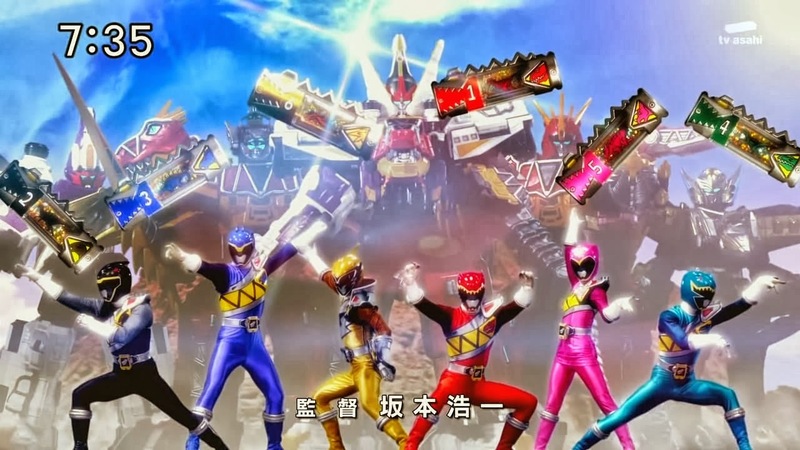 Firestarter's Blog: Saban Skips Gobuster, Announces Kyoryuger Adaptation With DINO CHARGE! Saban Skips Gobuster, Announces Kyoryuger Adaptation With DINO CHARGE! Since Zyuranger/Power Rangers, it has been an unofficially rumored that Saban will not skip any adaptations of Toei's Super Sentai series. However the USA Today's latest news shocked the entire Power Ranger's fandom announcing Saban's adaptation of Zyuden Sentai Kyoryuger as Power Rangers Dino Charge skipping Tokumei Sentai Gobusters. According to Bandai CEO Akihiro Sato "Dinos are a big draw in Japan and will continue the Power Rangers' strong success overseas. And by returning to the Jurassic influence that also gave the world Power Rangers Dino Thunder in 2004, "we know fans will find this next season larger than life," said Elie Dekel, President of Saban Brands. "Dino Charge, the Paragon Prisms were given to a dozen dinosaurs for safe keeping by an alien, but they were lost when asteroids hit the Earth and wiped out the dinos. Now in the present day, an intergalactic bounty hunter starts sniffing around Earth looking for the Prisms in order to harness their power and annihilate the world, so a team of Power Rangers forms to find the Prisms first and fight the bounty hunter and other threats with dino-powered swords, blasters, Zords (in Power Rangers lingo, large fighting machines) and Megazords".